One of the best parts of working for Periscope Data is that we have access to the brightest minds in data today. Our customer base is full of teams using data creatively to solve new problems and create new advantages for their companies. We get to have discussions with the individuals making the most innovative data decisions, and occasionally we get an opportunity to do that in front of an audience of other data professionals. As 2018 closed, Periscope Data hosted a happy hour in our office as a platform for a conversation about the use of data. We invited some of our most outstanding customers and asked questions we identified as vital to the way data is analyzed today. Below are links to the video recordings of that panel conversation. 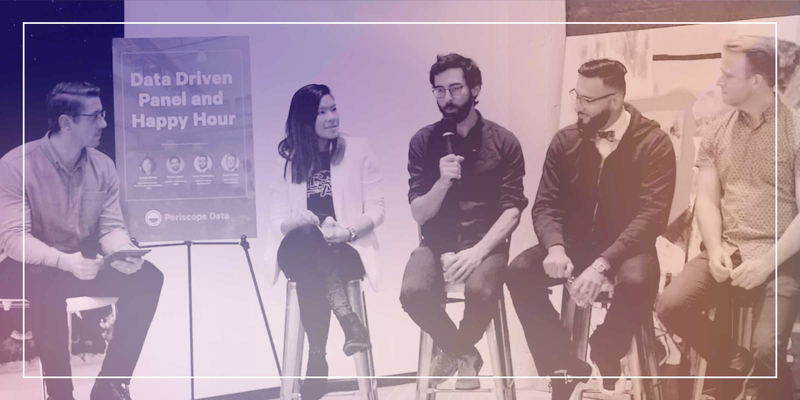 The panel was moderated by our very own Chris Meier and included panelists Angela Zhang (Plaid), Ruben Kogel (VSCO), Leon Tchikindas (Periscope Data) and Scott Castle (Periscope Data). Our panel of data team leads discusses the questions their teams are answering with data, the dashboards they use frequently and the innovative use cases for their data teams. The best data teams provide value by empowering analysts on other teams to easily answer their own questions. Our data-driven panel discusses the use of data documentation, sandboxes, standardized queries and more as a means of providing the best self-service experience. Preparing clean datasets for company-wide use is one of the most crucial roles of any data team. The data needs to be clean, accurate, reliable and easy for other teams to read. Our data-driven panel dives into the programs that they’ve built to create a single source of truth for their company’s data. There’s a lot of work to do to transform raw data into data-driven decisions. Each company has unique data needs, but there’s a universal need to clarify responsibilities, roles and processes to get the most out of data. Our data-driven panel discusses horizontal vs. vertical workflows, centralized vs. decentralized data teams and generalists vs. specialists. Periscope Data’s panel of internal data experts and trailblazing customers fields questions about important issues in the data industry. Topics include using data to drive a product roadmap, disaster recovery and best practices for managing users through growth. You can find these videos and a lot more on the Periscope Data Youtube channel. If you’re interested in attending events like this in the future, keep an eye on Periscope Data’s community events calendar. 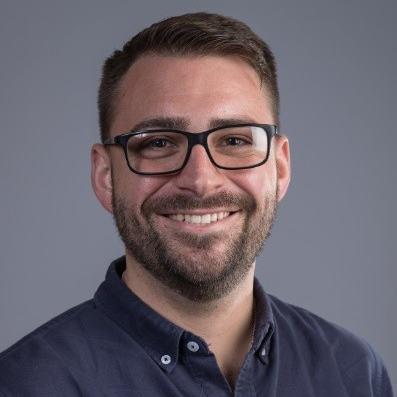 Rob Martins is the integrated campaigns manager at Periscope Data. Before working in the analytics space, he worked in both software development and data integration. As a native of the San Francisco Bay Area, tech is in his blood.